We have all the answers at our Valentine’s Market! Whether it’s the finest Champagne, elegant bouquet, divine treats or an indulgent staycation, we’ve created a one-stop shop to help you craft an unforgettable celebration. Pamper your Valentine in lavish style and comfort at the Primus Hotel Sydney. Enter our Valentine’s Day lucky draw* for your chance to win a ‘Stay In Bed’ package valued at $499. Pop a bottle of bubbly and share a Veuve Clicquot moment with your Valentine. Enter our Valentine’s Day lucky draw* for your chance to win a bottle of Veuve Clicquot Yellow Label Gift Box 750ml with a beautiful flower bouquet from Pearsons Florist valued at $80. Visit the Veuve Clicquot pop up at our Valentine’s Market to place an order for your love. All you need is love, but a little chocolate now and then doesn’t hurt. 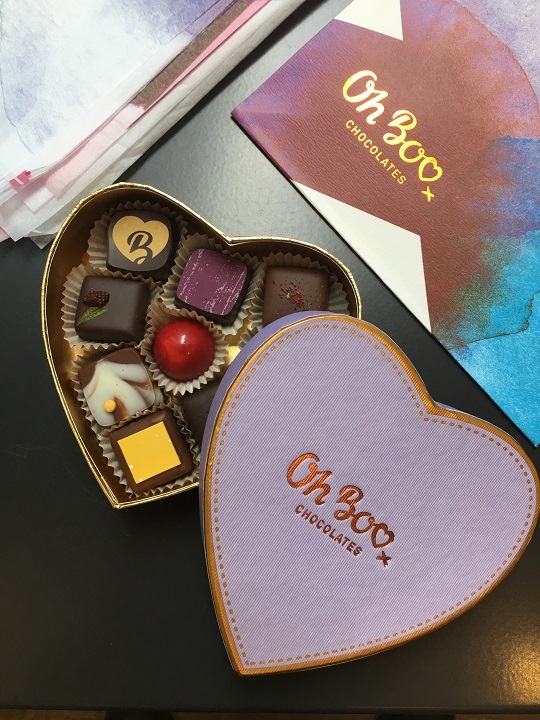 Melt your Valentine’s heart with these heavenly creations from OhBoo. Enter our Valentine’s Day lucky draw* for your chance to win a box of Oh Boo chocolates with a beautiful flower bouquet from Pearsons Florist valued at $60. A flower cannot blossom without sunshine, and man cannot live without love. Let these beautiful blooms whisper your love to your Valentine. The Pearsons Florist specialists are ready to take your orders at the Valentine’s Market.